Asif Ali Zardari's return to Pakistan from Dubai in April 2005 created waves that few could fail to notice. 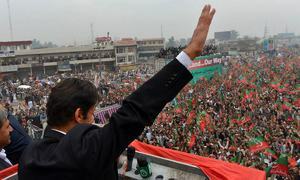 The rumours of a possible deal between the Pakistan Peoples Party and the Musharraf government hit the grapevine with a renewed frenzy, making it seem as if a shuffle at the top in Islamabad was all but imminent. Herald. Were you surprised by the way the government prevented your party from holding a public rally on your arrival? Asif Ali Zardari. I was shocked at their behaviour, particularly at the way in which women and journalists were treated. If the Muttahida Majlis-e-Amal (MMA) and others are allowed to hold rallies, why can’t we? Herald. Do you plan to take charge of the Pakistan Peoples Party (PPP) during Benazir Bhutto’s absence? Zardari. No. Mohtarma Benazir Bhutto remains in charge of the party. All I’m doing is helping and guiding the party while she is away. Herald.If the PPP’s plan is to activate the opposition, could you become the country’s prime minister in the future? Zardari. No. We already have a person for that job and it’s Mohtarma Benazir Bhutto. Herald. But she is not in the country? Zardari. That can change any day. Herald. What do you think will become of the cases against you? Zardari. I’m hoping to win all of them. I have already won 15 cases while I was in prison. If you can’t sentence a man in eight years then what do you expect? Herald. Do you believe that eight years in prison have washed away the charges of corruption against you? Zardari. I think so. The fact that they could not prove a single case against me either locally or internationally has definitely changed the perception. Herald. Why were you singled out as the person responsible for misusing power during the tenure of the PPP governments? Zardari. I think the media created that perception. Back then, the media was free enough to do so whereas today it dares not talk about it. Zardari. I hope to develop an understanding with civil society at large and the military happens to be a part of that group. But I still stand by the 1973 Constitution, democracy and the right to free expression. Herald. How can you consider the military to be part of civil society? Zardari. The military comprises over a million people. Directly or indirectly, there are almost two million people involved. You can’t exclude two million people from civil society. Herald. Do you believe a good relationship with the military is a prerequisite for coming into power? Zardari. No. But you have to take them along. Zardari. I do not think anybody has been campaigning for the exclusion of the military from politics more than I have. I’ve done it by my actions, by rejecting any deals, by staying incarcerated for eight years. And I’m now hoping to act as a bridge between all sections of civil society. Herald. General Musharraf often talks of countering extremism with liberal forces. Is that a signal for a possible compromise between him and Benazir Bhutto? Zardari. I think a democratically inclined leader such as Benazir Bhutto is always looking for dialogue and compromise. But we stand by the 1973 constitution and democracy. If Musharraf wants to come under the democratic umbrella, perhaps the parliament will decide to take him in. Herald. 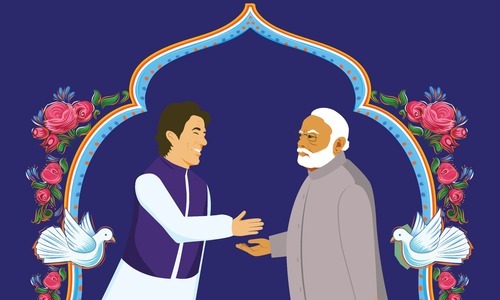 Is the current political polarisation in Pakistan between forces of liberalism and religious extremism or between pro-democracy forces and its opponents? Zardari. My contention is that the threat to civil society in Pakistan comes from the fundamentalists and everybody has to get together to fight them. But today’s government is to fundamentalists what Sinn Fein is to the Irish Republican Army. Herald. Are you saying that General Musharraf is not a liberal person? 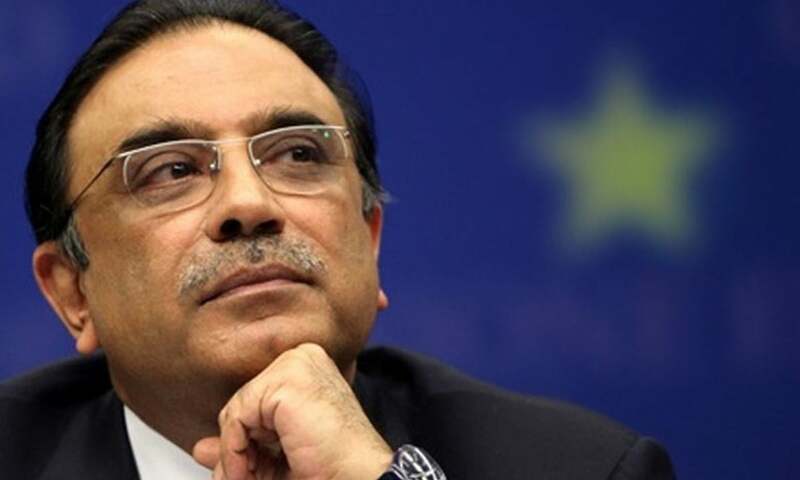 Zardari.I am saying that he hasn’t taken any action against what happened to us and to journalists on April 16, even though nothing of the sort ever happens to the MMA. Herald. Are you willing to meet General Musharraf? Zardari. I think if any meeting is to take place it has to be between Mohtarma Benazir Bhutto and the general. But I don’t think that the general is ready for such a meeting yet. Herald. Which of the existing political parties can become part of a liberal alliance? Zardari. All the parties can join such an alliance except for the fundamentalists. Among them too, we are trying to win away any that we can. The idea is to show them the light. Herald. Would you say that religious extremism is on the rise in the country? Zardari. Yes, it is on the rise because of the vacuum created by keeping liberalism at bay and weakening democratic forces. This article was originally published in the Herald's May 2005 issue. To read more subscribe to the Herald in print. The writer is currently serving as the editor of daily Dawn. Excellent answers... salute his foresightedness!